Precision Janitorial Services knows that when it comes to commercial cleaning its not just what you clean but also how you clean that matters. That’s why the company is committed to green cleaning and using environmentally-friendly ingredients and chemicals to preserve human health and environmental quality. In addition, the company has pioneered a unique cleaning process for all its janitorial services that cleans better while eliminating the possibility of cross-contamination. Such attention to detail is a major reason why Precision Janitorial Services has been a leading provider of commercial cleaning services in the greater Phoenix area for over two decades. 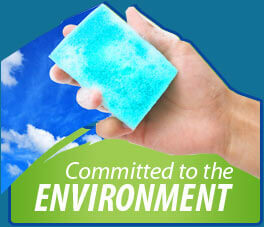 Precision Janitorial is committed to using commercial grade, green cleaning chemicals to clean your facility. This commitment to safe, powerful, eco-friendly green cleaning products not only helps the environment but also assures a safe environment for their cleaners and your employees. Nothing could be more fundamental to the cleaning process than this, and the bottom line is that these chemicals provide powerful results and a fresh clean fragrance everyone can enjoy. As a leader in the movement toward green cleaning in Arizona, Precision Janitorial continues to search for ways for its state-of-the-art cleaning services to evolve. How often do you actually think about the cleaning process most cleaning companies employ? If you did you might be surprised at how “unclean” the cleaning process can be. Imagine a company using the same towels or mops to clean every area of your office or facility, and you can see how easily cross-contamination can occur. Cleaning companies are supposed to get rid of dirt and bacteria, not spread it around. Precision Janitorial goes the extra mile and then some to prevent cross-contamination by using specially color-coded mop heads and microfiber cleaning cloths for all their cleaning services. Each mop head is used once for only one specific area of your facility, period. For example, if there are three bathrooms than three separate mop heads will be used. The same goes for cleaning cloths. This process ultimately leads to better results and a safer, healthier environment. Consult with the experienced professionals at Precision Janitorial Services in regard to your commercial cleaning needs. You can trust in a customized program that addresses your uniquely individualized needs as well as in services that are performed with the utmost care and in an environmentally responsible way. 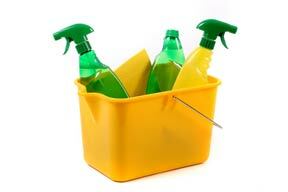 Can I customize my commercial cleaning services with your business? Are the janitors and custodians you employ bonded and insured? 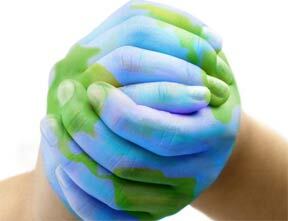 Are green products a part of your janitorial services? Can I request floor cleaning services with my custom janitorial plan?